I grew up using maps to navigate my way around. Back in those dark ages, of course, there was no other alternative (except to stop at a gas station and ask directions). As a result, people of my generation have the ability to carry a map in their head, so to speak. If they need to find an urban landmark, they find it on the map, take note of important cross-streets or other particulars, and -- using the visual in their brain -- drive to their destination. GPS has changed all that. 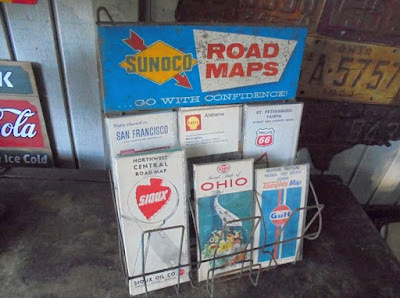 Maps are becoming so scarce that when I needed to find a fresh map of Spokane to replace the one we had (it was literally falling to pieces), I had to go to several different stores (forget about gas stations!) to find one. In some places, employees just shrugged and explained there was no call for maps anymore, so they no longer carried them. Which is why, when my husband spotted an article in the latest issue of Popular Mechanics (motto: "Your 'complimentary' subscription will never cease! Bwahahahaha! '), I thought he was joking: "The no-GPS road trip: An interstate journey into self-reliance." It seems a brave pioneer decided to do something daring and adventurous: to take a trip with just -- just! -- a road map. No GPS, no Google, no electronic aids of any sort. Why did he decide to do something so counter-intuitive, so anachronistic, so -- so primitive? Well, the author admitted the major downfall of GPS: There is "an atrophying sense of direction and inability get anywhere without a digital Sherpa." The author embarked on a city-to-city trip, but mistakenly believed it was possible to navigate a densely urban area while using a state map. So he decided to stop and pick up a city map, and found the same issue I had: no one carries them any more. More frustrations arose on his trip when it came to restaurants. His decision about where to stop for food had to be entirely based on whatever billboards, road signs, or other visual information he passed. But he did discover a happy side-benefit: Whenever he stopped to ask directions, people were happy -- delighted -- to be of assistance. When he successfully concluded his trip, he felt proud of his accomplishment. "I reactivated the inner compass that once guided me," he noted in the article. "It wasn't infallible, not accurate to three meters, but it was useful, like knowing how to do division on the back of an envelope even though your phone has a calculator." I don't have a smart phone, and I hope I never do. This article illustrates, in part, why. Smart phones do NOT make people smarter. And young people may never develop the ability to visualize a map in their heads. Sad. Great post. I do a lot of back road travelling and mostly wing it since I have a pretty good sense of direction. I also carry my backroad map book..its PERFECT and I got it at Wal-Mart. I'm not against smart phones. In fact, I just read your blog on mine. A smart phone is simply a tool that can be used for good or bad, just like the internet, which we wouldn't have in our area without smart phones. My ex wife was always amazed that I could drive across the country, or, look at a city map or road atlas once and get us to a destination. Sad indeed. Access to information via the internet could have been so empowering, fueling the flames of liberty and creativity. But instead most young Americans are dependent slaves devoid of any 'life skills'. Critical thinkers? Ha, that’s a good one. They are right where government want them. Why do you think the first thing the federal government gives their coveted 'refugees' (wink-wink, nod-nod)? Yep, a smartphone. Good little zombies with a government-provided electronic leash to Big Brother. 'In case of emergency, press '1' for the location of your nearest FEMA center. Press ‘2’ to take your LAST selfie. Have you noticed how all of these GPS and map systems on phones are built around the assumption that you want to travel to your destination in an absurdly blazing hurry? I try to stay off the motorways, they're full of people who confuse driving fast with driving competently. Many of America's roads are in sufficiently bad shape that I wonder how anyone can drive them at posted speeds, let alone the +10 to +15 I usually see out there. I drove around the US by avoiding motorways with the help of a Rand McNally truckers atlas. I especially like how all of the HGV-rated roads are highlighted in orange, mostly so I can avoid many of them. I like maps. I sometimes sit and read maps like others read novels. I like maps of places I've never been, and I like maps of places I was as a child and only remember vaguely. It's alright if the map is online because I like the zoom in and out features, but I don't have a smart phone. In fact my phone is pretty dumb, or maybe I am. A lot of times I have to go around a block or two to find the place I'm looking for, but that's interesting too. Not just reading maps. I only had one semester of mechanical drawing back in 1980, the cusp of CAD software taking over, but I can still spin an object in my mind and see its detail. There are many areas where we used to learn valuable skills just as a part of doing the basic task that have now been replaced, to good effect for those with the underlying skills, by software. But the new generation aren't learning those underlying skills, such as spatial orientation and how to move from the real world to a map and back. I have been opposed to a smart phone for a long time. But I finally got one. I discovered that I could "tether" my phone to my laptop when we are away from home and I can go on line anywhere I get phone reception. My second reason is that I have a camera in my home that I can check from anywhere on my cell phone. The third reason is I had to admit using google when out and about was actually damned useful; for example I use gas buddy to find a cheap gas station (I have a 55 gallon gas tank and my average savings using gas buddy is about 20 cents a gallon). I still keep my phone shut off most of the time but when I need it it is a very useful tool. 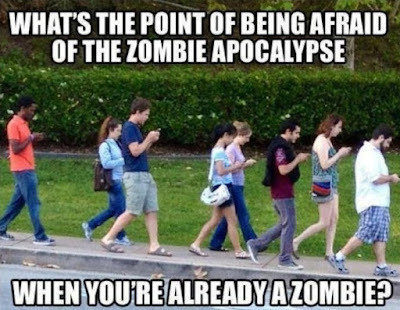 You should reconsider the smart phone. I never use GPS, unless Google maps on my phone counts. I still carry a couple of local state maps in my glove box, too. I've always loved maps anyway. My husband died last year. He did all the driving and had a keen directional beacon in his DNA. I was not so fortunate and so one of my very first purchases was a Garmin to help me get from Point A to Point B. I have been very disappointed in this purchase. I have tested it in my town asking directions for places that I already knew how to navigate to reach my destination. I have been routed in so many out of the way routes that I find it hard to trust this system when I am out of my area of knowledge. Like you, I grew up trusting maps and have found that my best source for them is a local telephone book for the city I am in. But.....with so many people dropping their land lines and going cellular I wonder how much longer we will have that resource. Oh my, the times they are a' hanging! If you are a member of AAA you can still get maps. Also available are the Tour Books which list interesting points, restaurants, motels/hotels, and information of the location. My car is loaded with AAA maps!!! me also. I get maps and books before I travel to a new area. I like some of their multi-state and regional (partial state maps); I can usually find one that covers the area I want in one map instead of multiple or hiding in part of a larger one. I have purposely made some trips recently without a GPS so that I remember how in case I don't have a unit (or even a smart phone) with me, or if the system goes down. Relatives were following their GPS trying to get to a vacation spot. The 4 lane went to a 2 lane, the two lane to gravel, the gravel to a "minimum maintenance road" that took them down a cow path on a section line. They came upon a sign that said "Your GPS is wrong" - ! Well said, Patrice. It's been one of my pet peeves lately. As in the last five years! I love maps, would frame them out on an entire wall.....and dream about where to go when looking at them. Don't know if GPS is smart progress or dumbed down progress. A little bit of both I would guess. We have a GPS in the car which I find is a nuisance as she is always saying RECALCULATE! We just can't help going off course for something more interesting than straight line travel. Good way to get paper maps - contact the state tourism dept, on line of course, and go to the list of available in print items. Usually a map is available. 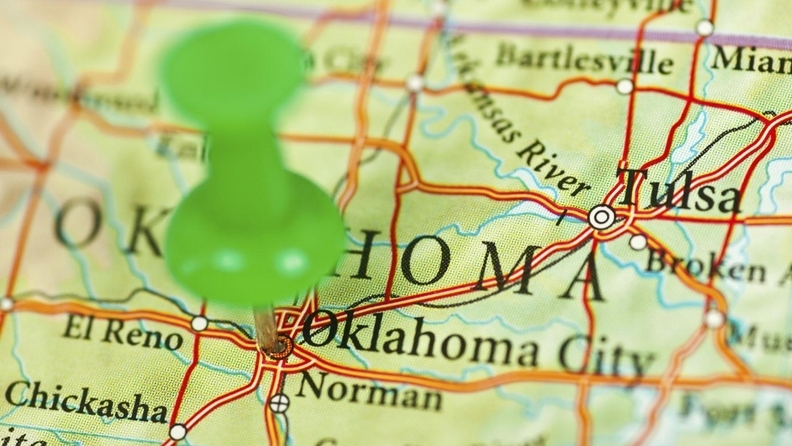 For local maps, go to a realtor - they typically have an up-to-date map. In most areas, up-to-date means showing the newest housing and commercial developments. 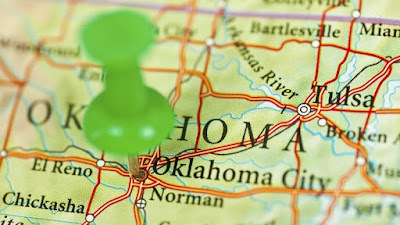 For maps showing places to eat - try a chain like Bob Evans or Golden Corral as they often have those Tourist Coupon books in the entry which gives you maps and coupons. You can still buy an atlas which is worth having because you don't always have cell phone service. When we got off track outside of Chicago last summer, we stopped to ask directions. We found we had to ask someone over 40 (at least) to get decent directions. Almost everyone we asked, and there were many until we found someone who could give real directions) just looked at their smartphone but could not actually verbalize what the phone indicated. The road behind our house was a through road 30 years ago and GPS still sends people up there. There is no place to turn around and if they don't fall into a deep wash-out rut (tow-truck time) they can possibly back down. last time i bought maps i had to drive all over. found them at a walmart. and the paper maps are not good quality. we have map bits in the car because they shred so easily. husband just got some at AAA. but we were in cattle country with a AAA map once and ended up on a 'road' through ranches, complete with vultures and a cow skull. came over a hill with no road at all and found civilization, so be careful with even AAA maps. i notice some maps are not as detailed as they used to be. looking at the ohio tourism official site, as mentioned by bellen right now. still hopeful. i wonder how many of these youngsters know that phone service is not available everywhere. they could get stuck in some serious situations without maps and knowledge of how to read them, especially in winter. I'm definitely in the minority here, but I find the GPS can get me places that I wouldn't even attempt on my own. I remember we had a homeschool field trip to the Rosicrucian Museum in San Jose. I used to be completely intimidated to drive in big city traffic. The GPS talked me through it! I couldn't imagine having to drive in unfamiliar big city conditions using a map with my child in the back seat. It has it's uses. I keep the car stocked with AAA maps but find GPS a handy tool. An additional issue with GPS, pronunciation, and the laughter that results! I still remember my GPS (on my smart phone) telling me to turn X towards "sigh-rack-use". Actual pronunciation of Syracuse is "sear-ah-cuse". I had to pull over I was laughing so hard! I grew up using paper maps. And will almost always check a new route before leaving the house against an actual map to be sure I'm not going to end up someplace weird. But the GPS on my smart phone has come in handy more than once I have to admit! The comment about the new guys using a CAD program and not being able to visualize is so true! I knew how to use a slide rule and all that gave you were digits. You had to know where the decimal point should go. I can not tell you how many times I would have a young engineer give me an answer, using a calculator, that was wrong and they did not have a clue. I would have to get them to reason why the answer was wrong before they would believe me. To me it was as natural as getting up in the morning! The Thomas bros. maps, AKA the Thomas Guide. Lasts for a loooooong time and are amazingly accurate. Get one, read it, know it, live it. When I was in my early teens a neighbor boy and I would try to collect the most maps we could. Youth today will be lost when the power goes out. Try looking for a map at an Idaho Transportation office. Or a WA T. office. Hey I may be away out of water with this one. Go to the major sporting goods/hunting stores and you will find detailed maps in books. Great for us retired guys with RVs and 4WDs who like to explore. Also good for beating traffic through the larger cities. Having said that I can do the same exact thing with my smart phone. Find back roads, shortcuts or routes around traffic. It isn't rocket science either, the smart phone maps and GPS ability is a powerful tool that is reasonably easy to use. We recently traveled cross country using a gps but kept the atlas close at hand for the big picture. Because the atlas maps are fairly compact and I'm used to zooming in on my iPad, I finally took pictures of the atlas pages and could then zoom in on them. It was actually much easier to switch from photo to photo than it was to find the new page in the atlas. I think I found the best of both worlds for my aging co-pilot eyes. The price of maps, when you can find them nowadays, is outrageous! I have a state map for free from the state, and a county map, free from the county. So you just have to check your state/county website. Have done the same for trips to neighboring states.